One day as I was perusing facebook, I stumbled upon a photo an acquaintance of mine posted to his account. I immediately liked it. For reasons I can't accurately articulate, I was moved by the composition, the lighting and styling of the photograph. I knew I had to paint it. Having a new house with studio space, I was thrilled to start dabbling with oil painting again. I wish I would have taken photographs along the way while working on the piece. I created the underpainting using burnt sienna and raw umber. I usually paint in stages: Building layers, resting for a drying period, and continue with the next layer. I feel it gives the painting a sense of depth. The painting is now hanging in my upstairs hallway just below two skylights. 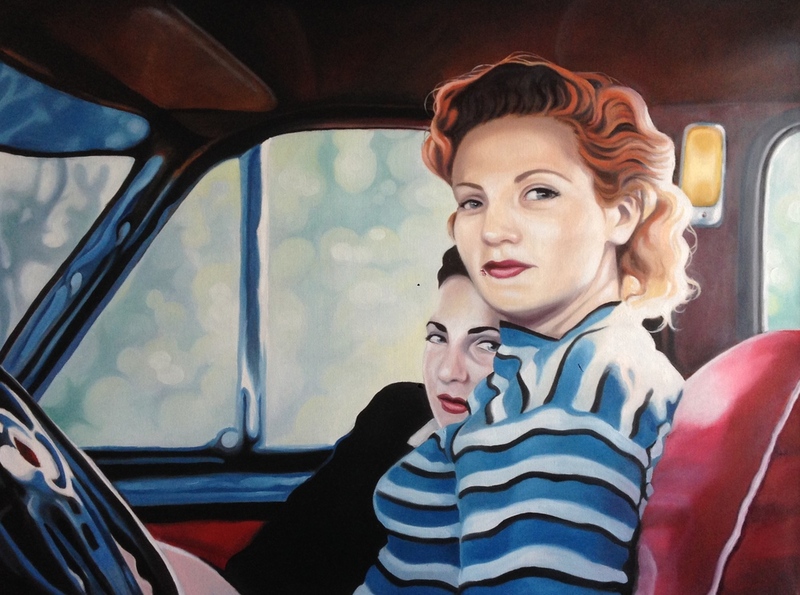 "Sunday Drive" — Oil on Canvas 36"x48"